SGN or also called as Tân Sơn Nhất International Airport is located in Viet Nam. 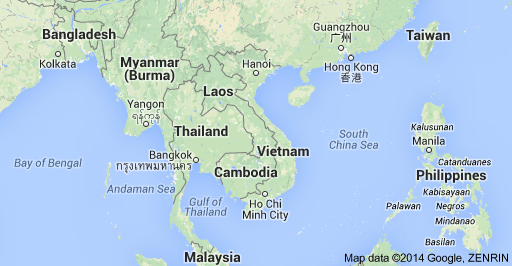 If you don’t know where Viet Nam is then just look at it on the map. It is located in Southeast part of Asia. Through this airport, Viet Nam opens to the world. It may not be the busiest airport hub compared to other airports in other countries but there are also a lot of activities going on here. Tân Sơn Nhất International Airport is specifically placed in the city of Saigon or now known as Ho Chi Minh City which is the second famous city of the country right after the capital city of Hanoi yet it accounted two-thirds of Viet Nam’s international arrivals and departures. But still, they are planning for a newer airport due to the increasing demand. Since I arrived in SGN at midnight, I was welcomed with this signage. The ground area and TARMAC were big and per wiki, it has been Viet Nam’s largest international airport. When getting out of the plane, the arrival section was neat, spacious and everything was in perfect shape. I was on my way to the Immigration Counter for my passport to get an entry stamp. In the immigration counter, it has been divided to different counters for tourists and the like for faster transactions. These counters are separated to cater holders of Foreign Passports, Viet Nam Passports, and ASEAN citizens. I rushed in to the queue but Foreign Passport’s queue was a bit long. I went to ASEAN citizen counter since the Philippines is part of that agreement yet the immigration officer told me to go to the Viet Nam/ Local Passports so, I did. It was just within a minute that I got my passport stamped and I was able to head down for me to get my check-in luggage. Upon getting down to claim my luggage, I’ve got to see some few facts about the country such as the ForEx/ Foreign Exchange rate. Then, I got my bag through SGN’s baggage carousel which was big and really modern. Time to have my bags checked through their machine detectors and if there are items that you need to report to Customs, you just need to fill out the Custom declaration form. Once you passed all through this process, you can have your money converted to VND/ VietNamese Dong. Even Philippine Pesos, they also accept. Then after that, you can proceed to the Exit Gate for you to hire a taxi. A quick reminder, always to hire legal taxis which have meters on it coz taxi drivers just flocked at tourists trying to lure you to let you get inside their cab. You can also arrange with an airport pick-up service companies online such as SATSCo, click here for their site. Or you can go to their desk infront of exit gate. But you always have other options like hiring a taxi outside but make sure it is under MaiLinh or Vinasun taxi companies. These two are the most accredited and big transport companies in Viet Nam. So far, the whole airport experience was great and amazing. All in all, it’s really good to travel and see the gateway of other countries.